What do you understand by the term Apache Kafka? A fault tolerant messaging system based on publish-subscribe, which is fast, scalable and distributed by design is known as Apache Kafka. Apache Kafka is written in Scala and Java. 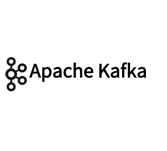 Apache Kafka is an open-source stream processing platform developed by Apache Software Foundation, to provide a unified, high-throughput, low-latency platform for handling real-time data feeds. Initially, Apache Kafka originated at LinkedIn and then became an open source Apache project in 2011. The tutorial covers the principles of Kafka, installation, operations, and the development of Kafka cluster. It also covers the real-time applications and integration with Big Data Technologies. What are the prerequisites required and who are the audience for learning the concept of Apache Kafka? Good knowledge and understanding of Java, Scala, and Distributed messaging system arerequired to understand the concept of Apache Kafka. Good knowledge and exposure about the Linux environment is essential to better understand the concept of Apache Kafka. This tutorial is mainly targeted for the professionals aspiring to make a career in Big Data Analytics using Apache Kafka messaging system. Anyone on completion of this tutorial gets complete knowledge about the concept of Apache Kafka and can use kafka clusters.